The Short Course paddling program offers the opportunity to learn and enjoy the sport of outrigger canoeing. If you’ve never paddled before, this is the program in which you will begin. This is the program for you if you have limited time and cannot commit to the longer training sessions required of Long Course paddlers. This program is geared toward first time paddlers, experienced paddlers seeking to focus on technique and details of the stroke, and paddlers who want to focus on short course racing. Our Short Course Program will prepare you to compete in races that range in length from 4-7 miles with a duration of 45 minutes to a little over an hour. They are high-intensity efforts that require a specific type of training and preparation. You will learn the history of outrigger canoeing, terminology, canoe care and maintenance, and of course, paddling technique while building teamwork skills and camaraderie with your fellow paddlers. For paddling technique, you will learn the different phases of the outrigger stroke, power application, correct body position and how to work together with your teammates. You will also learn about proper nutrition, training techniques, how heart rate affects your training, and how to tailor your training to achieve optimal results. This program establishes the expectations and training needed in order for the paddler to continue into our Long Course Program. Don't feel intimidated if you've never paddled. We have paddlers of all ages and fitness levels. 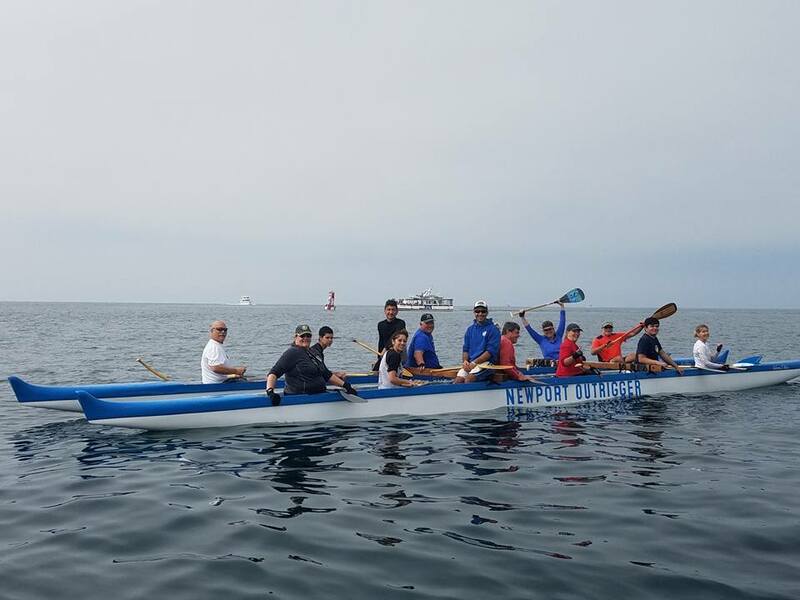 In addition to developing relationships with other paddlers, we often encounter friends from our marine environment - sea lions, brown pelicans, porpoises, and the occasional whale. Practices = Team members must use TeamSnap to confirm attendance for that workout; failure to RSVP may result in not being able to participate in the workout due to limited seats.